Baden Wurttemberg is a small state in southwest Germany. 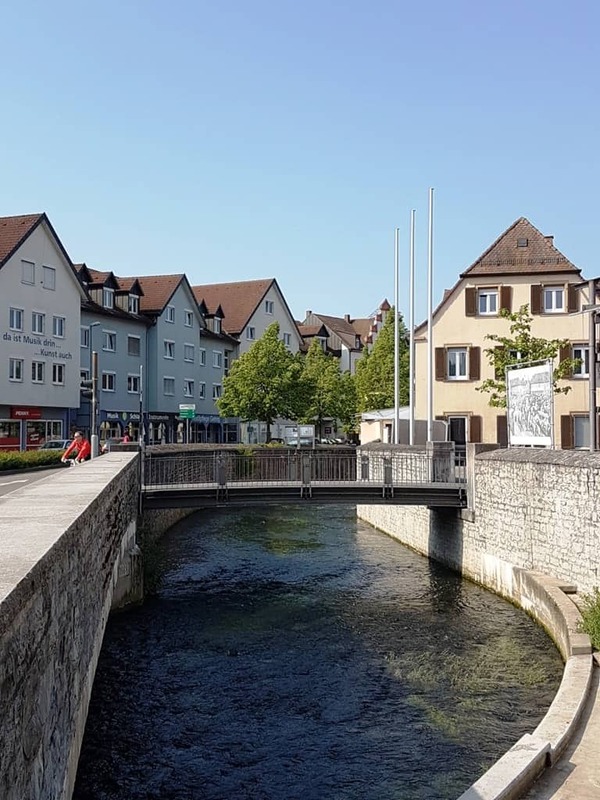 It borders both Switzerland and France and is known for its Black Forest region, which is home to charming traditional villages, towering evergreen trees, natural springs and spas, and plenty of castles and gardens. The capital of the region is Stuttgart. I recently went on a three day trip around the region during the world famous asparagus festival. We also toured some of the beautiful palaces and formal gardens. 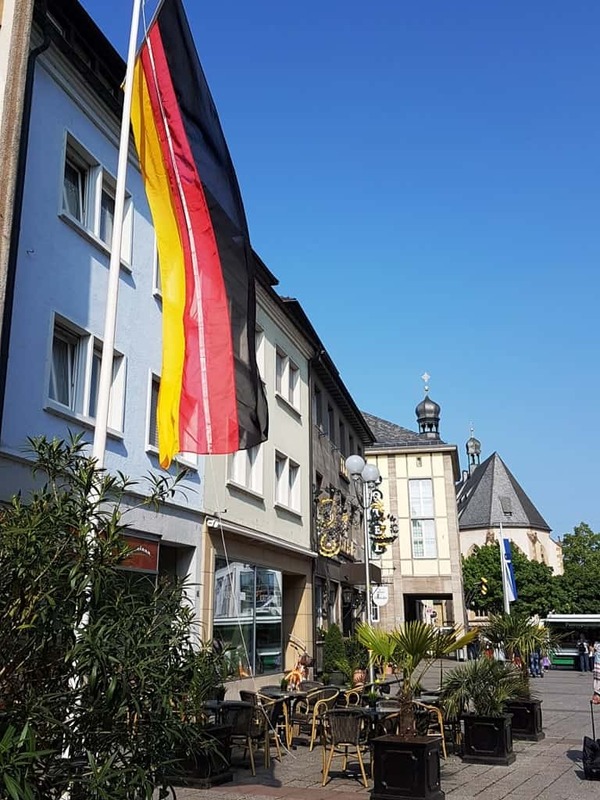 Baden Württemberg has a long, varied history, but only became a modern federal state in 1952, following the Allied occupation, division of German states, and revision of French borders in the aftermath of World War II. During the Reformation (16th century), the state remained predominantly Roman Catholic while most of Germany became Protestant. Because of its location on the French border, Baden Württemberg saw extensive damage during the French Revolution (18th century), with several towns destroyed. There are three famous rivers in Baden Württemberg. 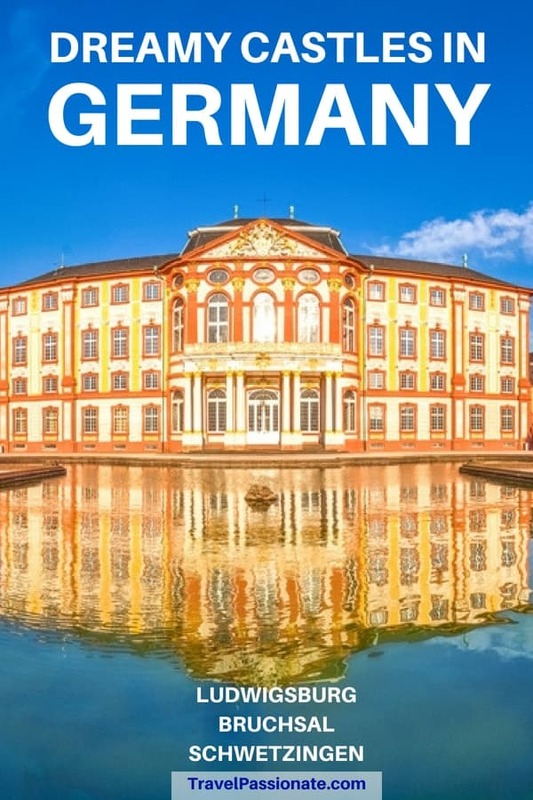 The main river is the Neckar, along which are towns like Heidelberg, Ludwigsburg, Stuttgart, as well as hundreds of castles and palaces with beautiful gardens. The Neckar joins the Rhine at Mannheim, while the Danube’s source is in the Black Forest. Today, the state is a popular vacation destination in western Germany. It is world famous for the Asparagus Festival, which takes place in the spring. White asparagus, or Spargel, is a culinary delight and hordes of people travel to the source to taste it. 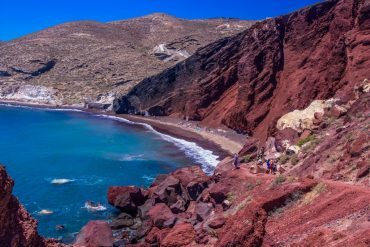 Not only are there festivals celebrating this delicious vegetable, but the entire area is also famous for cultivating it. Tours of farms, markets, festivals, and more celebrate Spargel from April to June. 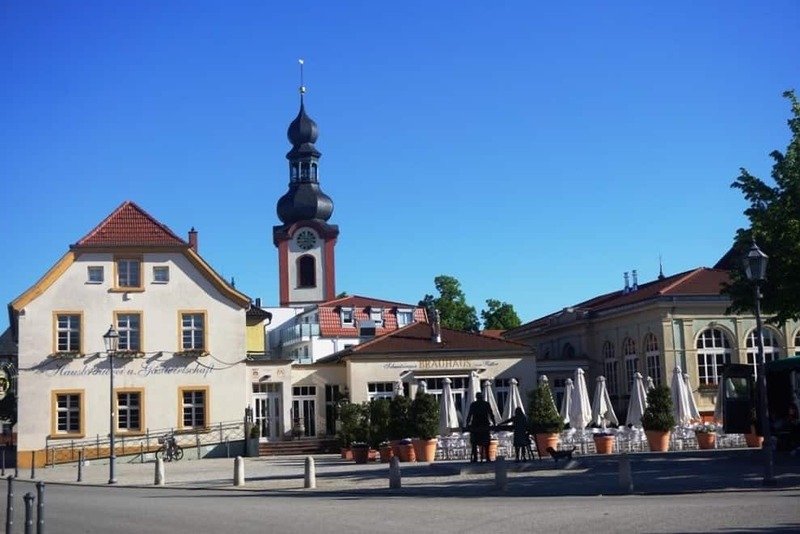 In Schwetzingen, the asparagus market occurs the first Saturday in May and has for the past 100 years. 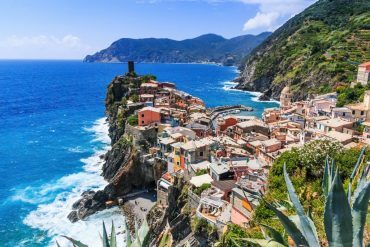 This region, though, has been growing asparagus for over 350 years. I arrived at Stuttgart Airport in the morning and took the airport transfer to the central station and then the S-Bahn train to Ludwigsburg. 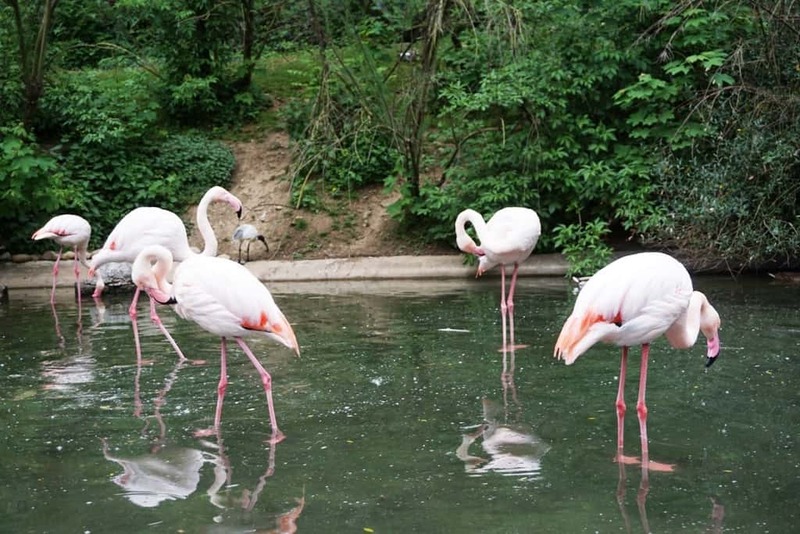 Ludwigsburg is just 12 kilometers north of the Stuttgart city center. 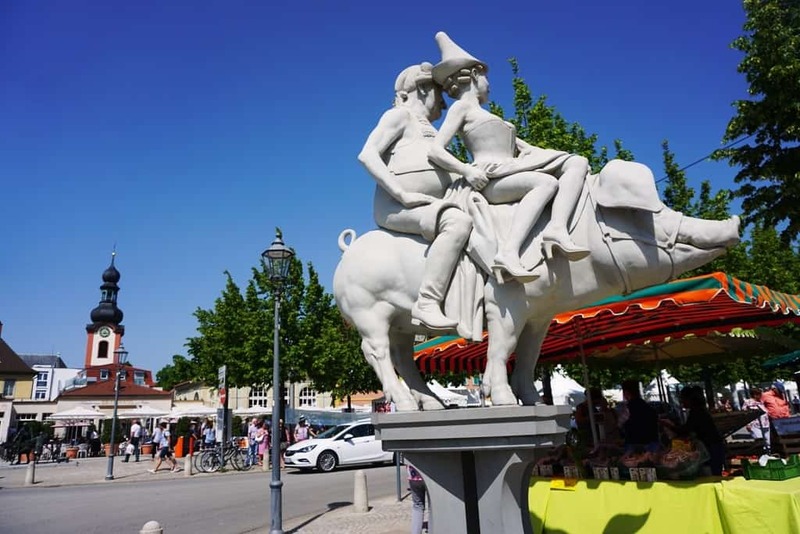 It was a very easy transfer, and I arrived with plenty of time to explore Ludwigsburg. 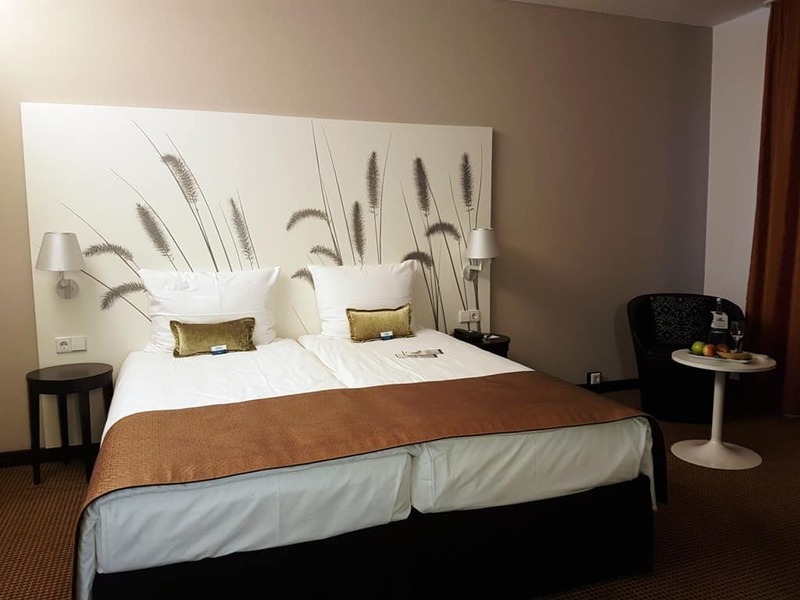 I stayed at the Nestor Hotel, in the heart of Ludwigsburg adjacent to the city park. The Nestor Hotel is located within the old garrison bakery, a historic red brick building built in 1874. It’s newly renovated rooms are brightly colored and furnished with modern, sleek furniture. The common spaces blend modern decor with historic architecture and are open and airy with plenty of space. After checking in and leaving my bags in my spacious room, I set out to explore Ludwigsburg. 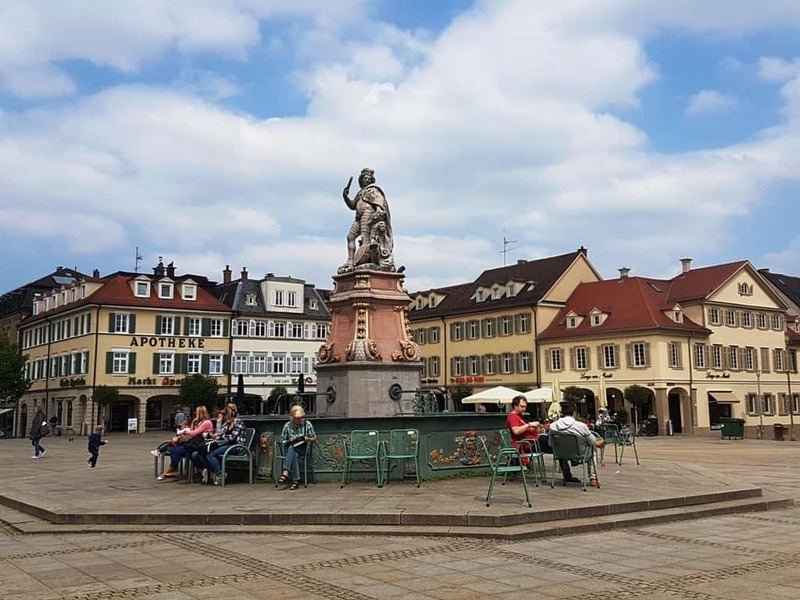 The town is known for its Baroque architecture, evident in the beautiful early 18th-century palace, gardens, and the town center that sprung up nearby. Ludwigsburg was always a favorite hunting ground for the Württemberg royals. In the early 1700s, the Duke of Württemberg began laying the ground for a palace, which was completed in 1733, when the Duke died. He also planned the entire city; it remains one of the few planned cities in Germany to still exist. The town didn’t grow, though, until it was given city status in 1718, although it dropped again when the next duke moved the capital back to Stuttgart. 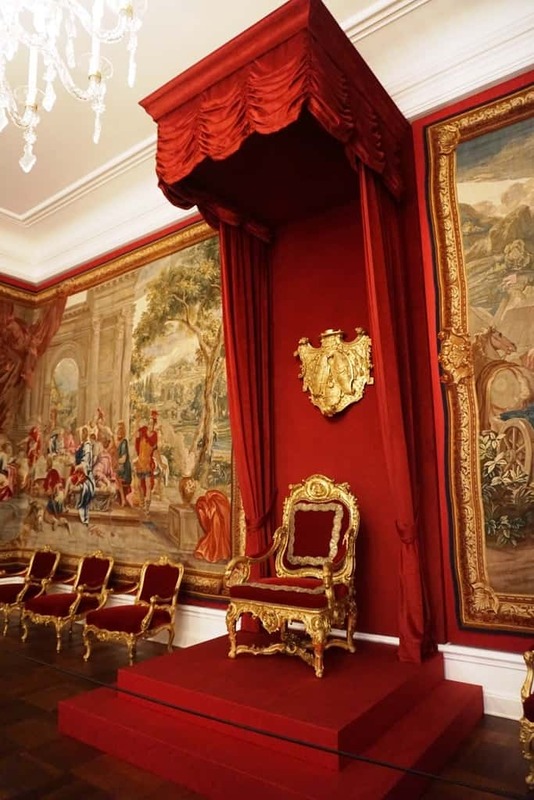 In addition to the palace, the royal complex also includes Monrepos, a castle on the lake, and a hunting lodge. My first stop was the museum of Ludwigsburg. 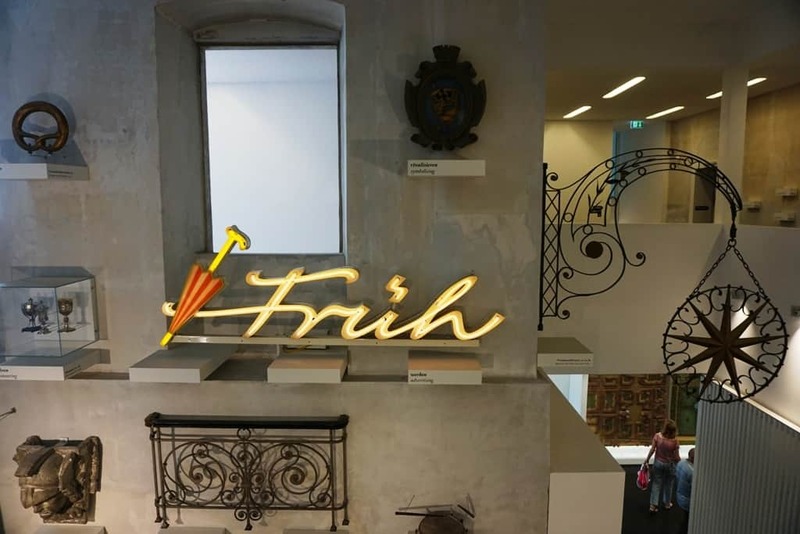 The museum’s focus is the history of Ludwigsburg, from the conception to modern day. It traces the path of creation and includes stories of those who didn’t want the city to flourish. 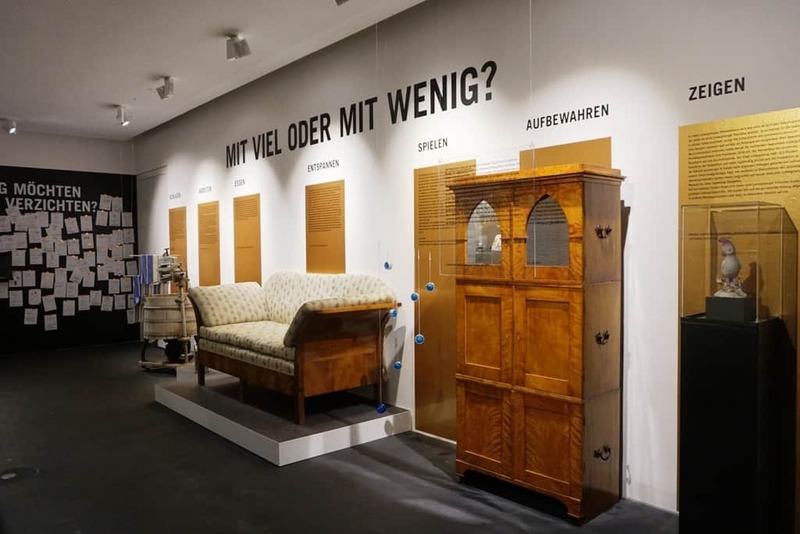 There are over 25,000 artifacts relating to the heritage of Württemberg and its place in the Baroque ideal. After exploring the museum, I had lunch at the cafe located inside. The owner of the cafe is Greek, and the menu has a variety of Greek delicacies listed. I ordered a salad with a grilled chicken fillet. Following lunch, I wandered into town and explored the town center and the Marktplatz. 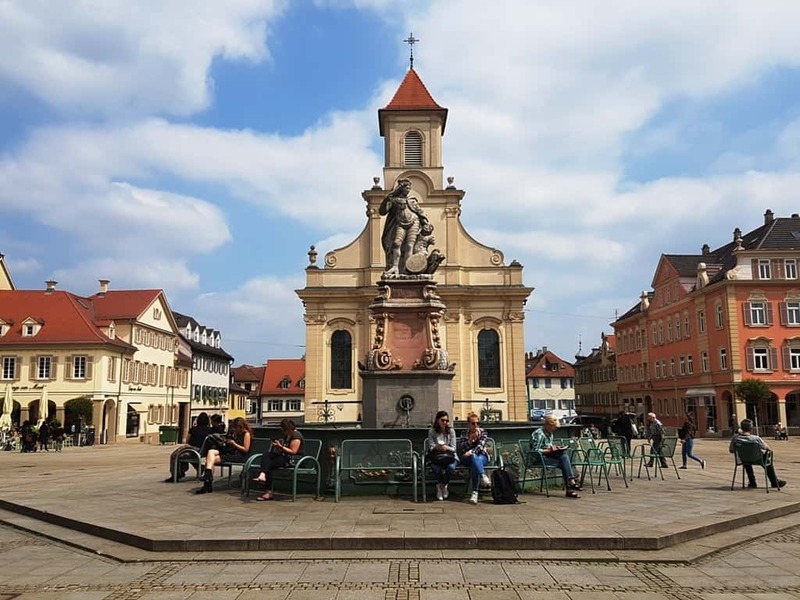 The Marktplatz, or market square, is a large public space surrounded by Baroque arcades and two Baroque churches. It is considered one of the finest public squares in Germany. 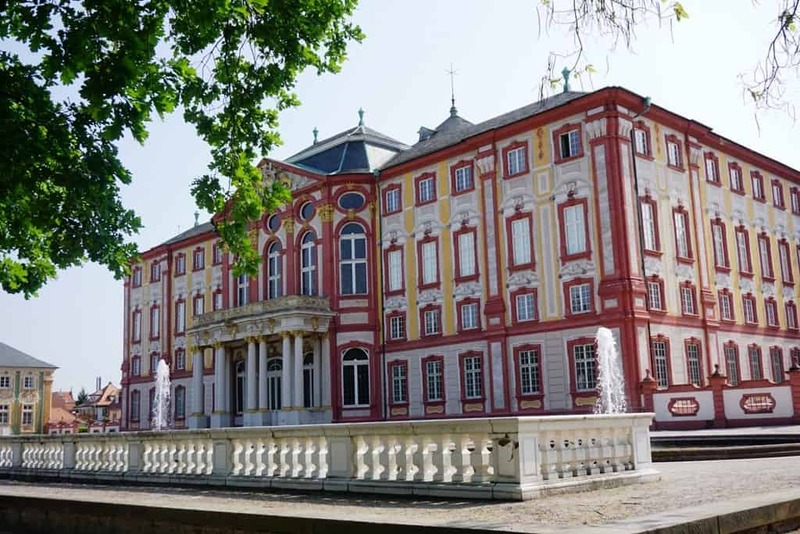 My next stop was the 18th century Ludwigsburg Palace, where I had a guided tour of the 452-room residence – the largest in Germany. 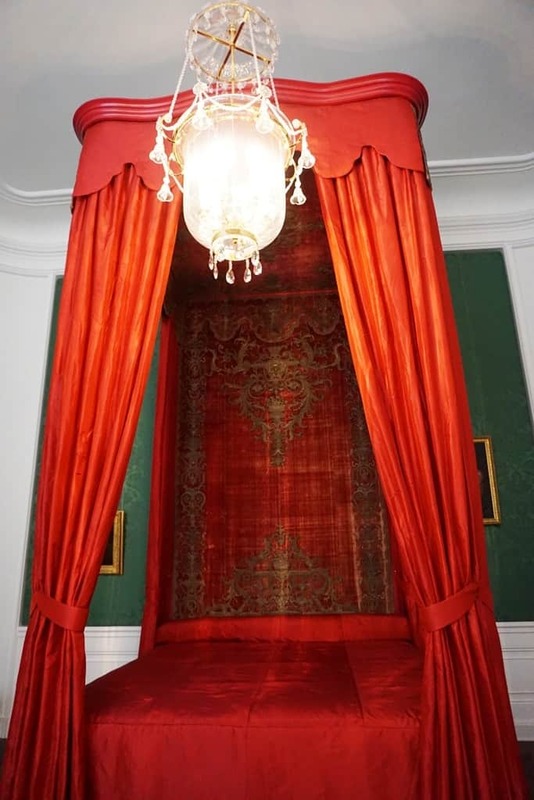 There are four architectural styles evident in the construction: Baroque, Rococo, Neoclassical, and Empire. 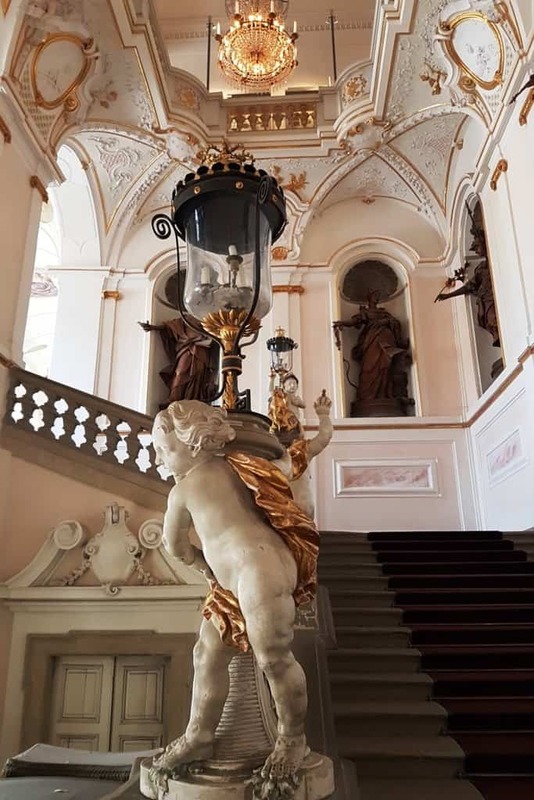 It is the only Baroque-era palace not to have been affected at all during the Second World War. Ludwigsburg Palace reminds one of Versailles, in France, and it should. Duke Eberhard Louis toured the continent after commissioning a small palace. Upon his return, he demanded a sprawling palace that would match the opulence and elegance of Versailles. By 2020, the city hopes to restore the New Hauptbau to its 19th-century splendor. Palace staff are using inventory lists to ensure everything is in place. One of the most visited attractions within the palace grounds are the Blooming Baroque Gardens, which surround the palace on three sides. 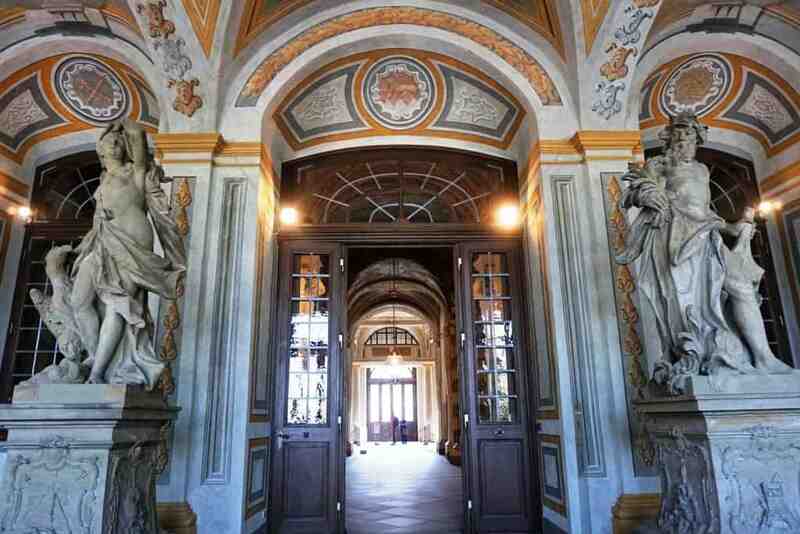 After my guided tour of the palace interior, I spent two hours leisurely strolling through the extensive exterior. 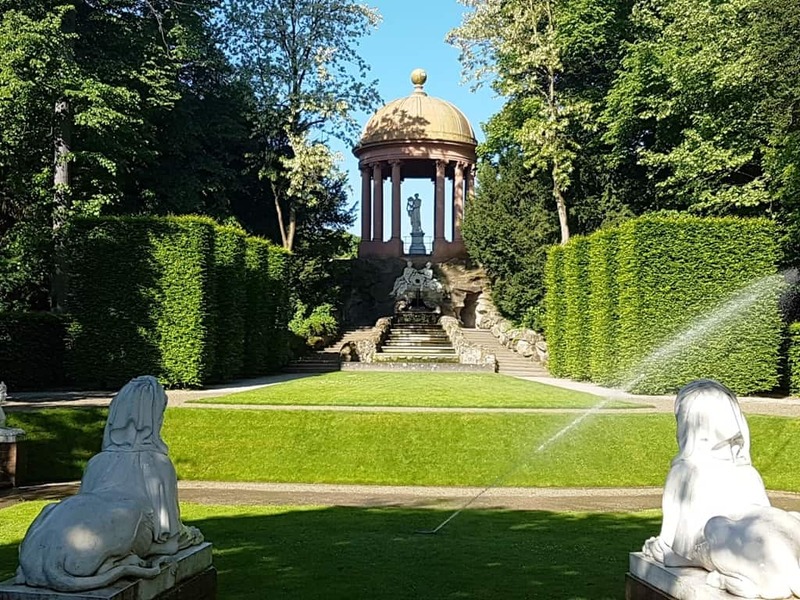 The current interpretation of the gardens is not the original; Duke Eberhard envisioned a more Italianate terraced garden on one side with a French Baroque garden on the other. The next duke modified the design, and the subsequent duke removed some features and laid out a simplified garden on the south side. 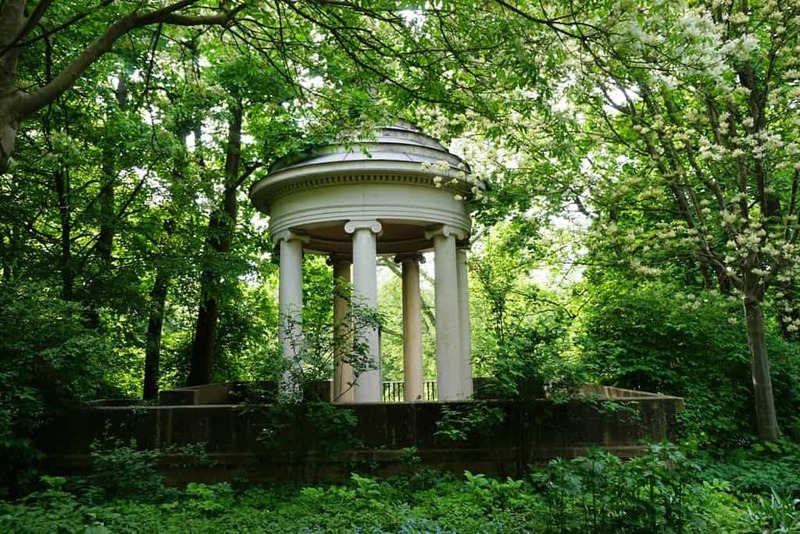 In later years, the gardens fell into disrepair until the 20th century. 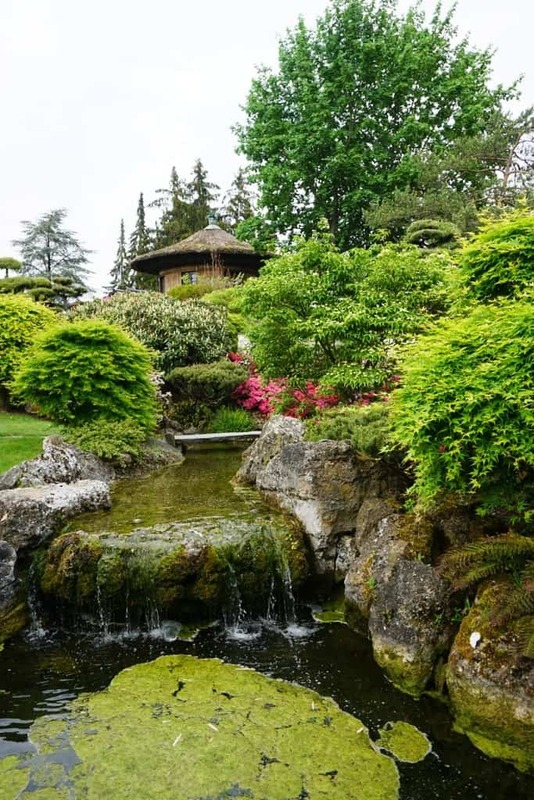 The gardens were restored in the 1950s to their 1800 design (Duke Frederick I) for a garden show; the income from the show led the city to maintain that design, which is how it remains today. 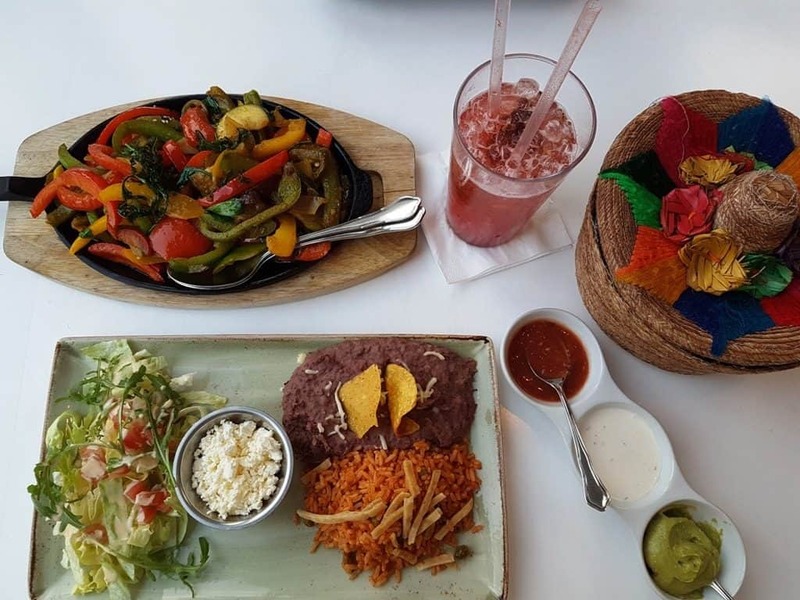 That evening, I dined at Die Blaue Agave, a chic Mexican restaurant across from the train station. It attracts a young crowd, making for a relaxing, fun atmosphere. The floor to ceiling windows and outdoor beer garden seating are perfect for people watching. In the summer, the entire restaurant opens to the exterior, bringing the garden in. There are two levels to the restaurant/bar; my server led me to a table overlooking the gardens. I had a rum cocktail with passionfruit and strawberries to drink and ordered vegetable fajitas for dinner. In the morning, I took the train to Bruchsal for a guided tour of the Bruchsal Palace and gardens. 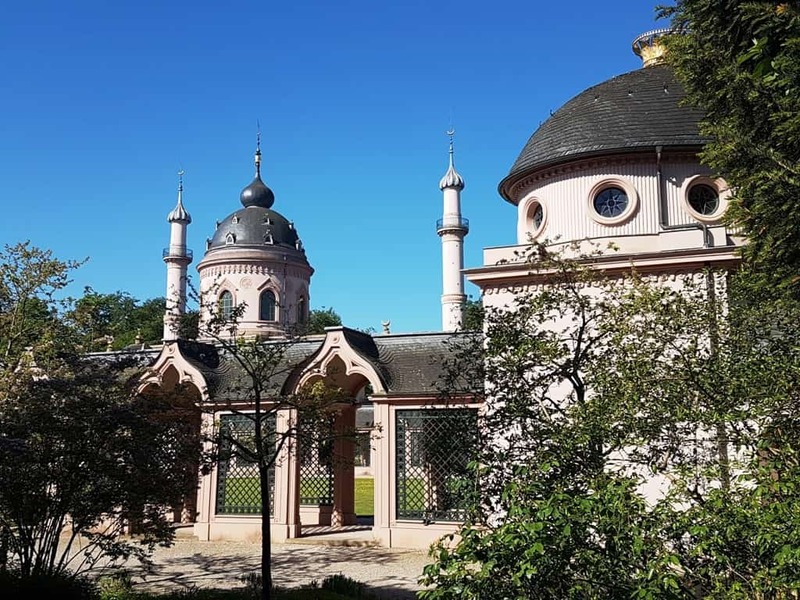 Bruchsal is located west of Ludwigsburg, about 20 kilometers north of Karlsruhe on the western border of the country. 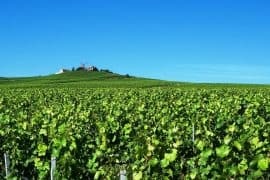 It is famous for its castle and its asparagus production. 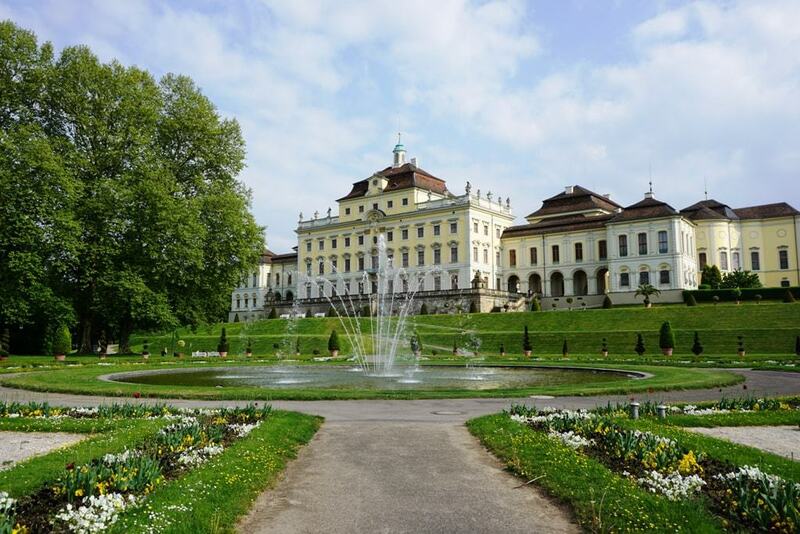 My day began with a guided tour of Bruchsal Palace and its gardens. 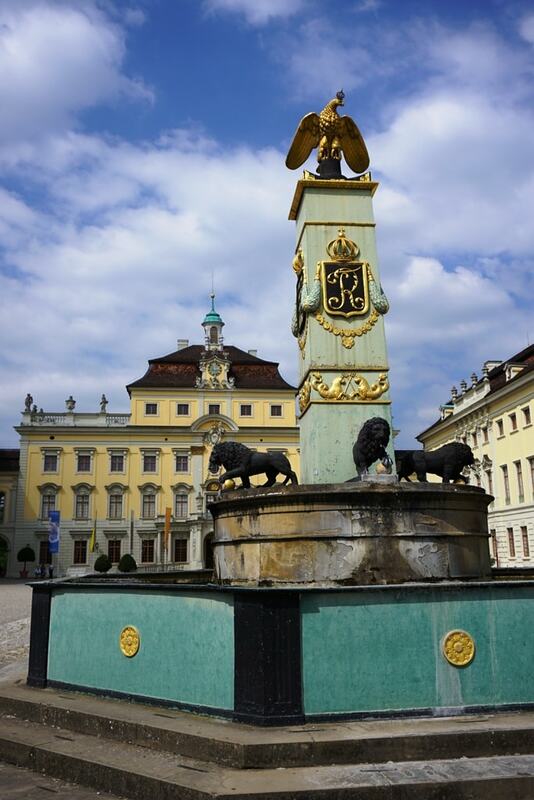 The Palace is well known for its Baroque architecture and is often considered the pinnacle of the style. It’s main staircase, or corps de logis is a two-story atrium that provides access to the building wings. Bruchsal Palace as seen today is, sadly, not the same as the original. Just two months before the end of World War II, the palace was bombed by American aircraft raids on the nearby train station. The restoration work began following the war and was completed in the mid-1990s. 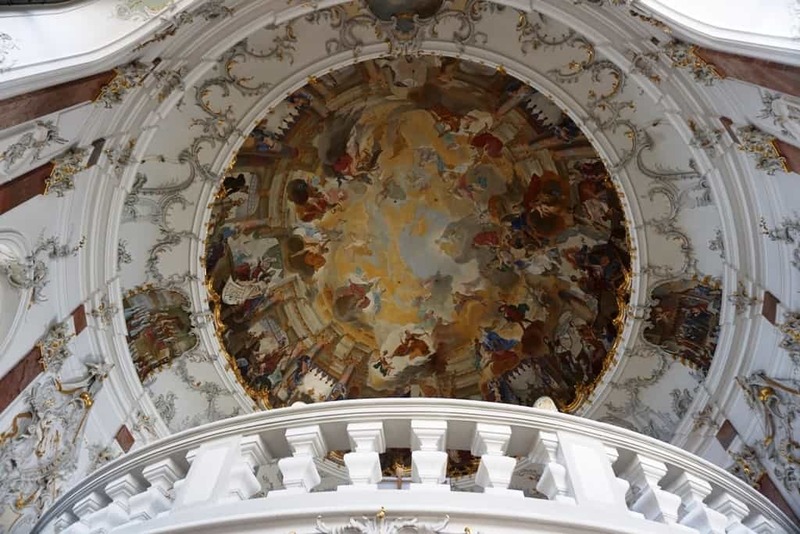 The interior is only partially restored, including the famed frescoes which were photographed in color before the war and were, therefore, able to be restored in extensive detail. The corps de logis luckily survived mostly intact and is one of the highlights of the palace. 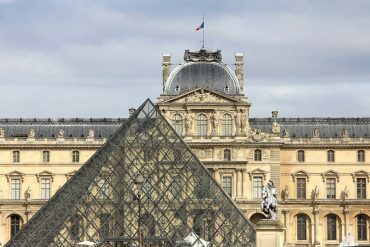 There are two different museums housed in the palace. 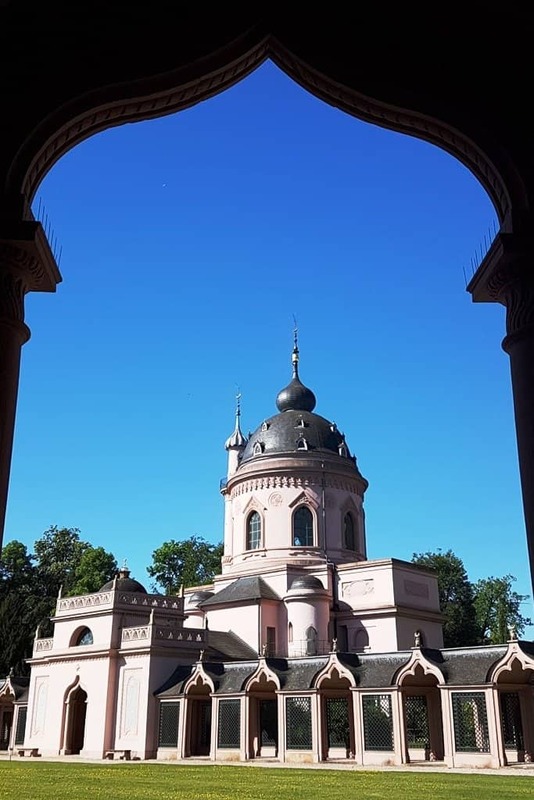 Following my tour of the palace and gardens, I took a bus and train to Schwetzingen, which is located north of Bruchsal by about 35 kilometers. 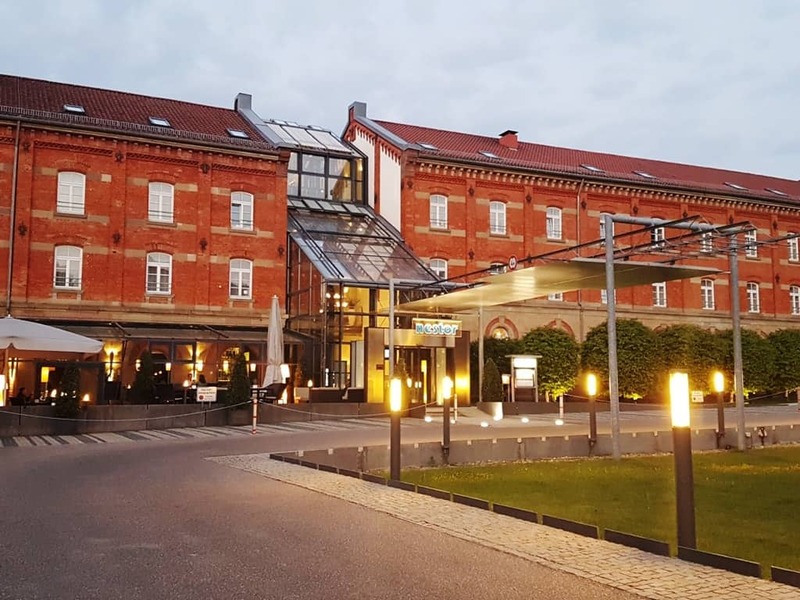 In Schwetzingen, I stayed at the Zum Erbprinzen Hotel, located directly across from the Schwetzingen Castle in the center of town. 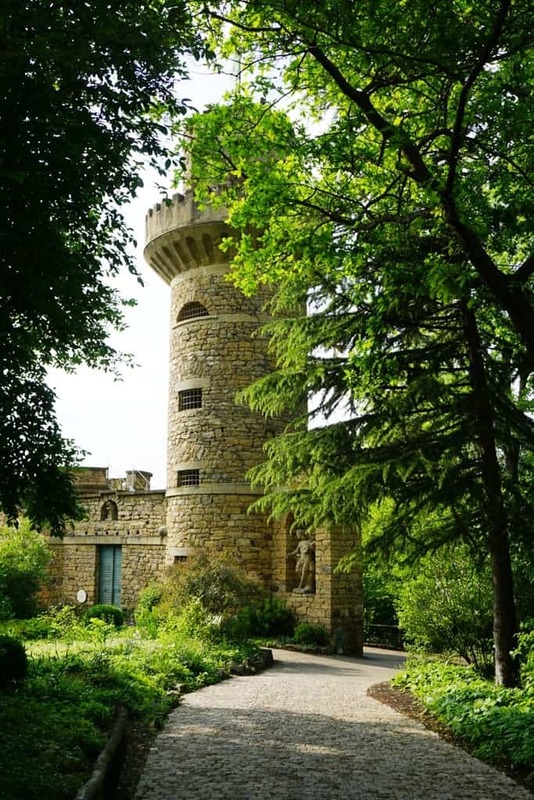 This boutique hotel is only 25 rooms, most of which have castle views. It is one of the oldest buildings in town and has a long history as one of the town’s premier hotels. 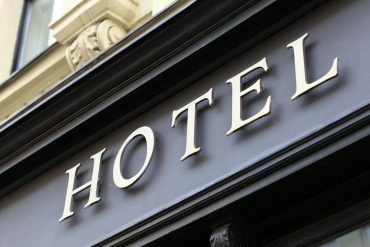 Rooms are comfortable, and the hotel restaurant serves both breakfast and lunch. After checking in and getting settled, I had a guided tour of the city with the asparagus lady. 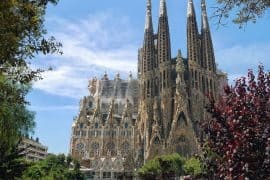 During our walking tour, which highlighted the important buildings in town, she explained the city’s relationship with asparagus, cigar factories, and the German royalty. We then headed to the Asparagus festival. 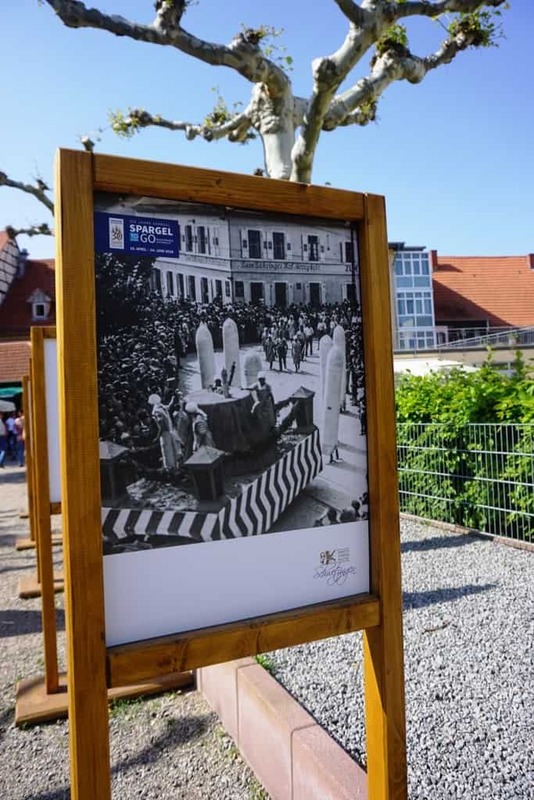 This unique festival takes place every May in Schwetzingen. As Schwetzingen claims to be the Asparagus Capital of the World, gourmands and tourists alike flock here to see the asparagus fields, taste the unique white asparagus, and meet farmers, chefs, and culinary experts who rave about Spargel. Ths year they celebrated 350 years of cultivating asparagus. 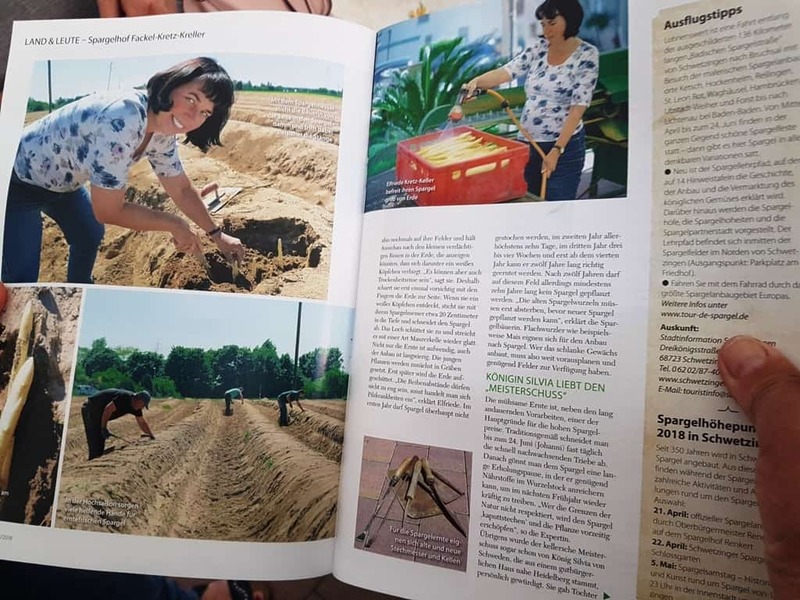 I had the chance to meet the current Asparagus Queen and some former Asparagus Queens as well (their families own the local asparagus farms). They told me everything about asparagus, how it is cultivated, and how they keep the tradition alive. 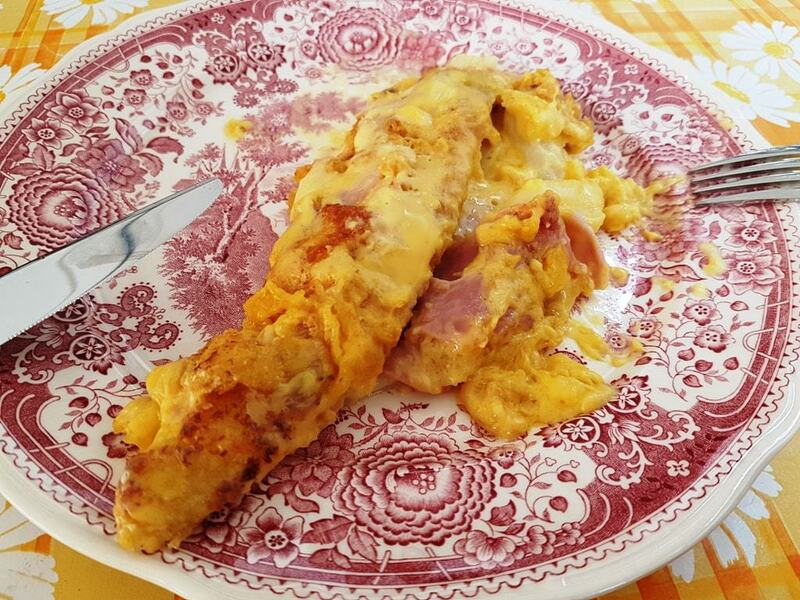 Later on that night I spent some time at the house of an asparagus farmer where they showed me how they clean and cut them and I also enjoyed some asparagus delicacies with them. At the festival, I visited a beautiful exhibition by photographer Marie Preaud called the Labor of Love. The photographs were taken during the Asparagus season in 2017 and showed the work of the farmers through the photographer’s eyes. 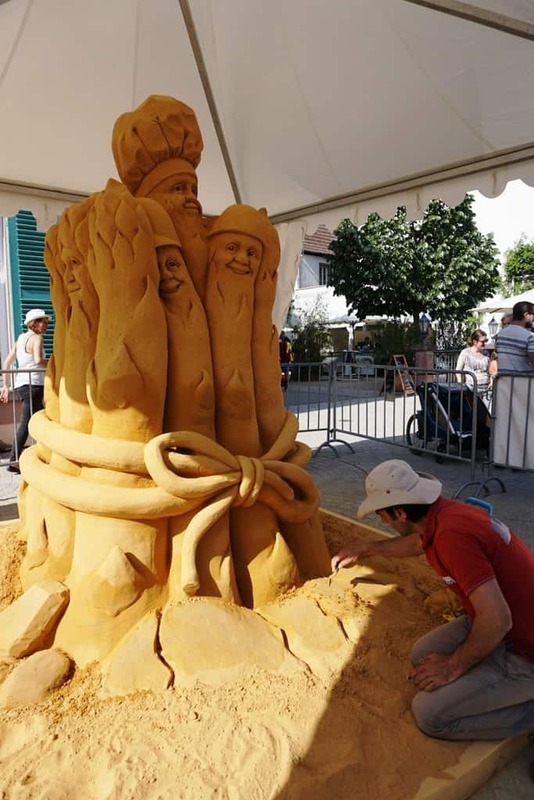 In the meantime the festival was in full swing, there was a competition with the quickest asparagus peeler, you could learn how to recognize where the asparagus grew and how to cut them, an artist was making an asparagus statue entirely made of sand. Also, there were a lot of stands selling food and drinks. 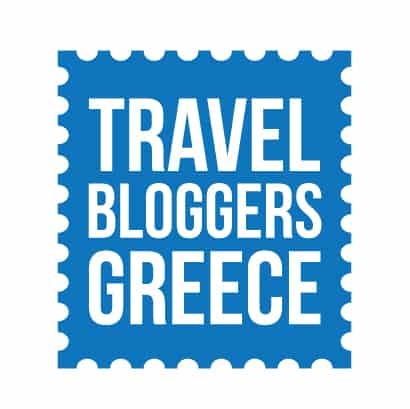 From asparagus dishes to Greek souvlaki. We had a lovely meal at chef’s Tommy Möbius stand, who is a Michelin star chef and had prepared a delicious dish made with asparagus, squid and gnocchi. The night ended with live music, dancing and great wine from the area. 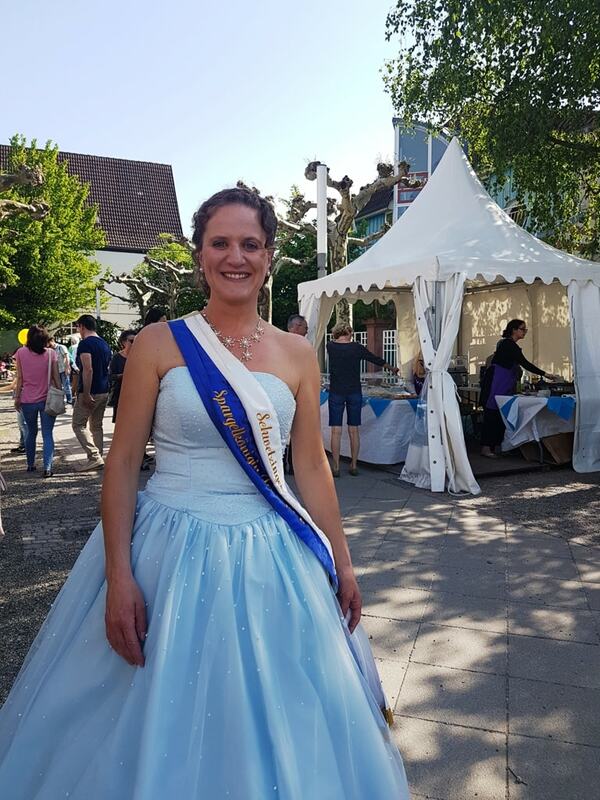 Who would have thought that an asparagus festival would be so much fun? On my last day in Baden Württemberg, I began my day with a guided tour of Schwetzingen Palace and its gardens before leaving for the airport. 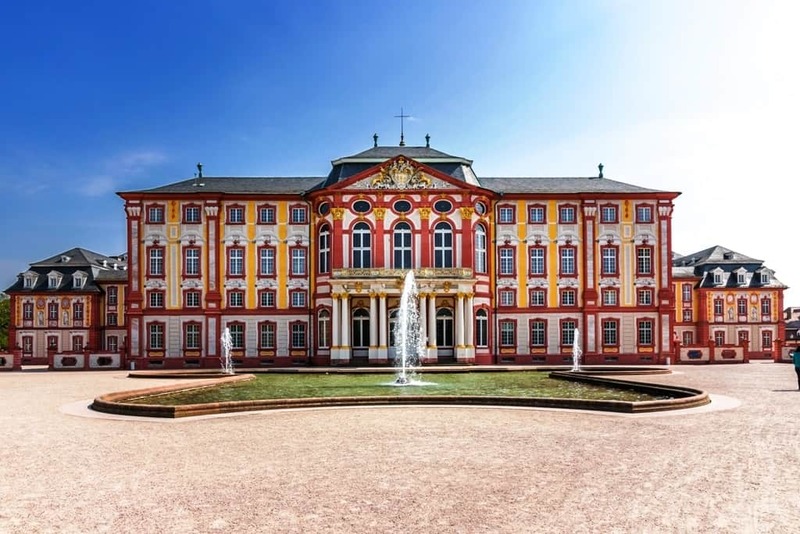 Schwetzingen Palace, like so many others, was originally little more than a summer retreat and fishing lodge for the nobility. 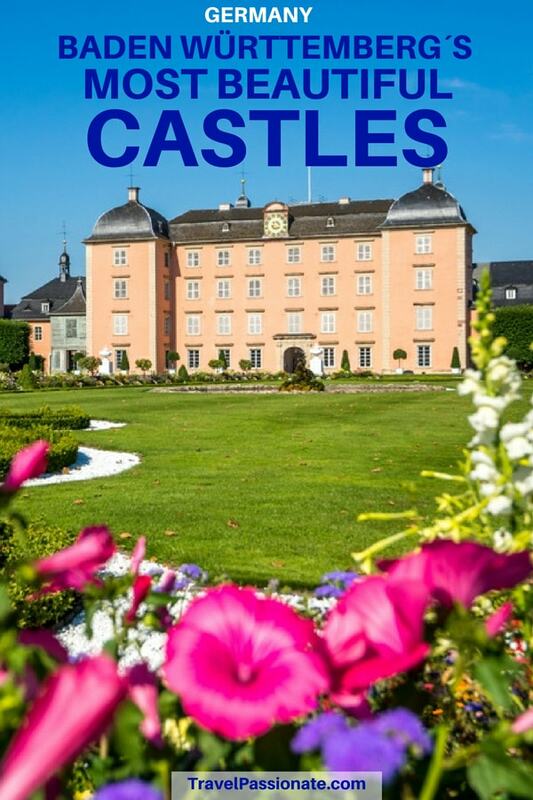 In the middle of the 18th century, various Electors of the Palatinate embellished both the castle and gardens, mimicking the formal Versailles. The castle expanded into Baroque wings with some later Rococo additions. A 10-kilometer long tree-lined avenue led from the castle’s entry to the university town of Heidelberg. 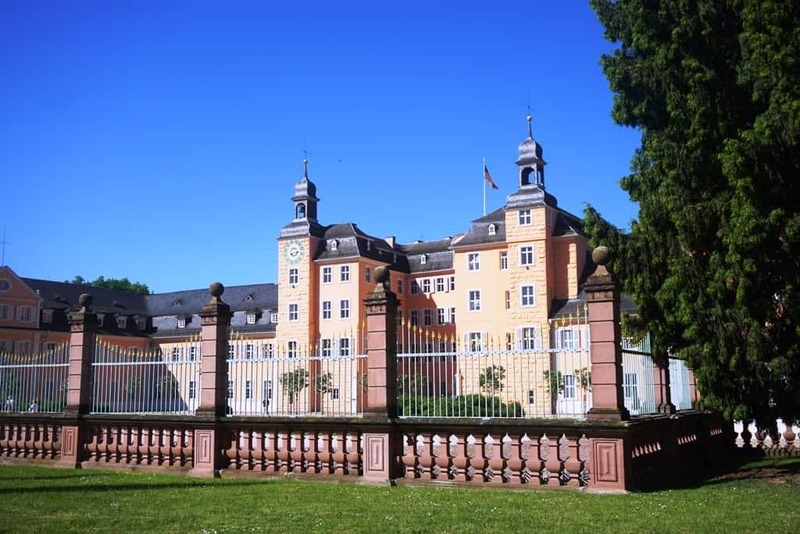 When the city of Schwetzingen was absorbed into the Duchy of Baden, the castle became a ducal residence. All too soon, it was time to take the train back to Stuttgart Airport and fly home. The easiest way to get to Baden Württemberg is to fly into Stuttgart, Frankfurt, or Baden Baden. Frankfurt has plenty of international flights from the UK and US as well as across Europe, while Stuttgart is mainly for European airlines. If you fly Ryanair, you’ll fly into Baden Baden. 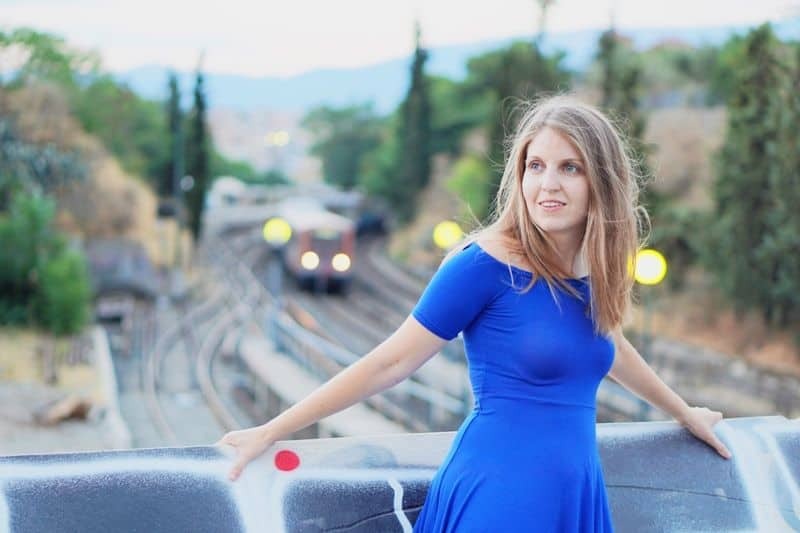 Public transport is very reliable and convenient, with trains linking the airports to the city center, from which you can get to any other city in Germany. Another option is to hire a car and self-drive. If you do this, be sure you know the restrictions regarding your home driver’s license. 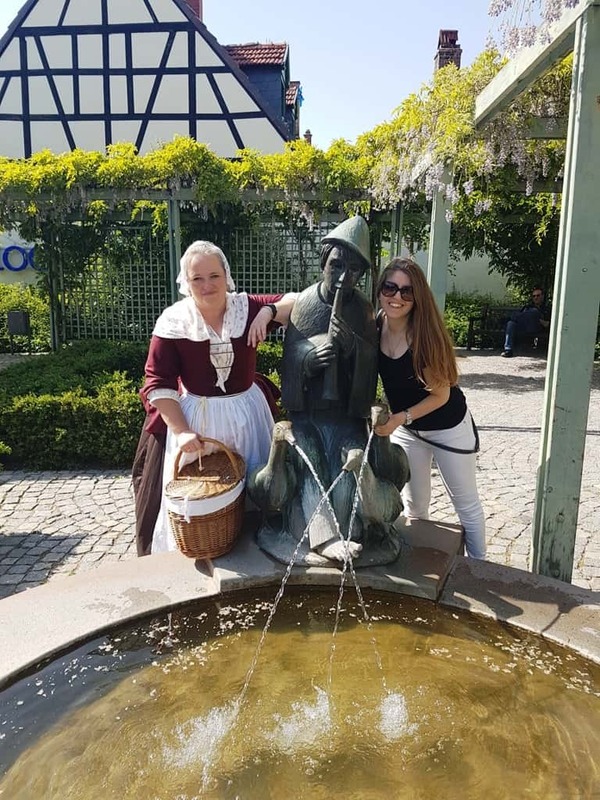 I very much enjoyed my time in Baden Württemberg. 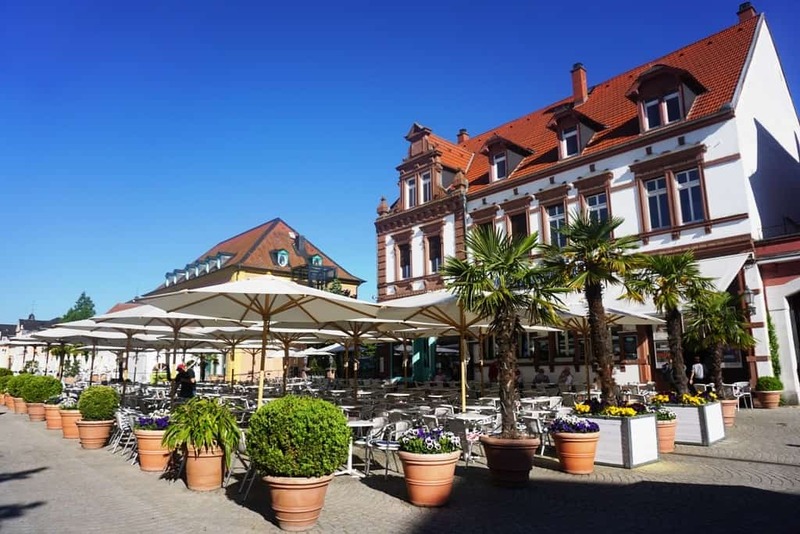 This region of Germany is beautiful and charming, filled with a plethora of castles and formal gardens against the backdrop of the Black Forest. And, of course, foodies will enjoy visiting for the unique Spargelfest and the culinary delights of the Black Forest region. I was a guest of the State Tourist Board Baden-Württemberg but all opinions are my own. 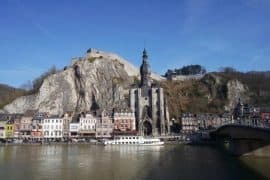 Dinant, a day trip from Brussels. Nice post. 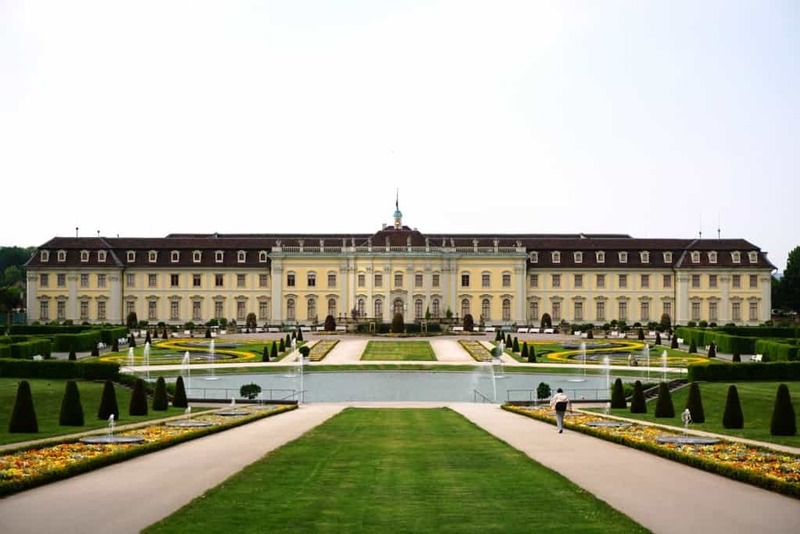 I have been to Ludwigsburg palace and I also liked it a lot. You are right, it does rem=semble the Versailles palace. You share some history of each place and that is great. Thanks for the comment. 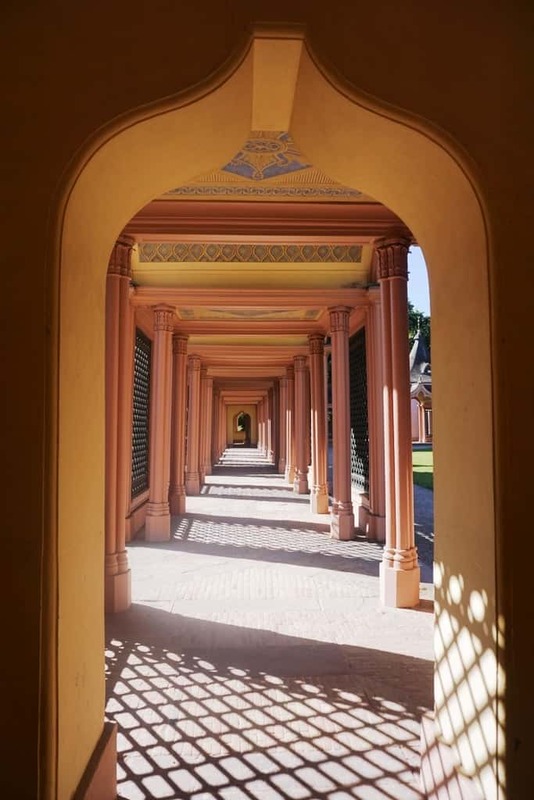 I really enjoyed my visit to Ludwigsburg Palace. 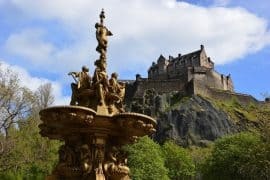 It is a stunning place with great history. Thanks for your comment. 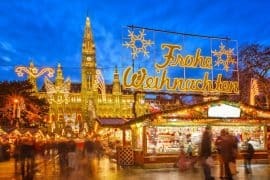 Germany is a country with a rich history and amazing palaces. I want to keep exploring them.